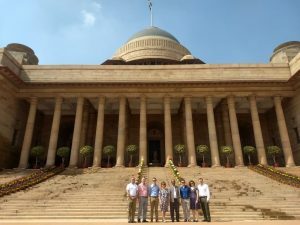 As President of the British Elbow and Shoulder Society, I have returned recently from a 16 day tour of India. 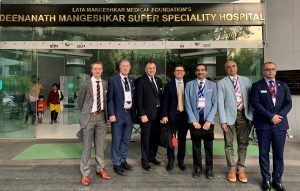 It is hoped that this visit will strengthen the relationships between Shoulder and Elbow Surgeons in Britain and India and will lead to further joint projects and meetings. The British Elbow and Shoulder Society’s (BESS) Patient Care Pathways, which are surgical procedure guidelines for conditions involving the shoulder and elbow, was released for members of the Shoulder and Elbow Society of India (SESI). Jeremy Pilmore-Bedford, British Deputy High Commissioner (Chennai), released the guidelines during the ‘IBHI-Elbow Conclave 2019’ conducted at MIOT International on Tuesday. Prithvi Mohandas, managing director of MIOT International, and Peter Brownson, president of BESS, were present. “BESS developed the guidelines by collecting available evidence and conducting trials. Now, they have agreed to us using their content, and we have released a booklet on the guidelines,” Ram Chidambaram, director, MIOT Centre for Sports Medicine, Shoulder and Upper Limb Surgery and president of Shoulder and Elbow Society of India (SESI), told reporters. SESI has 300 orthopaedicians across the country as its members. 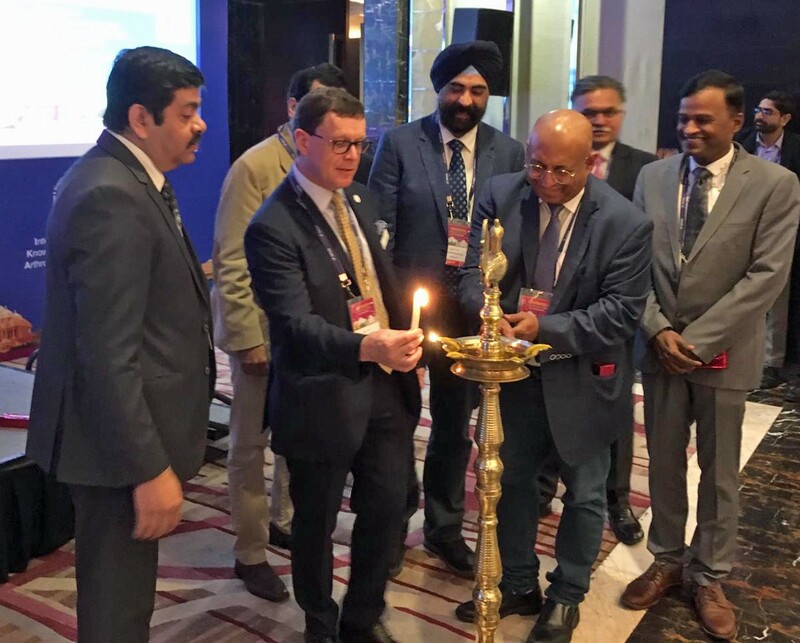 The Elbow Conclave was organised by the Indo-British Health Initiative in association with BESS and SESI focussed on specialities in orthopaedics. 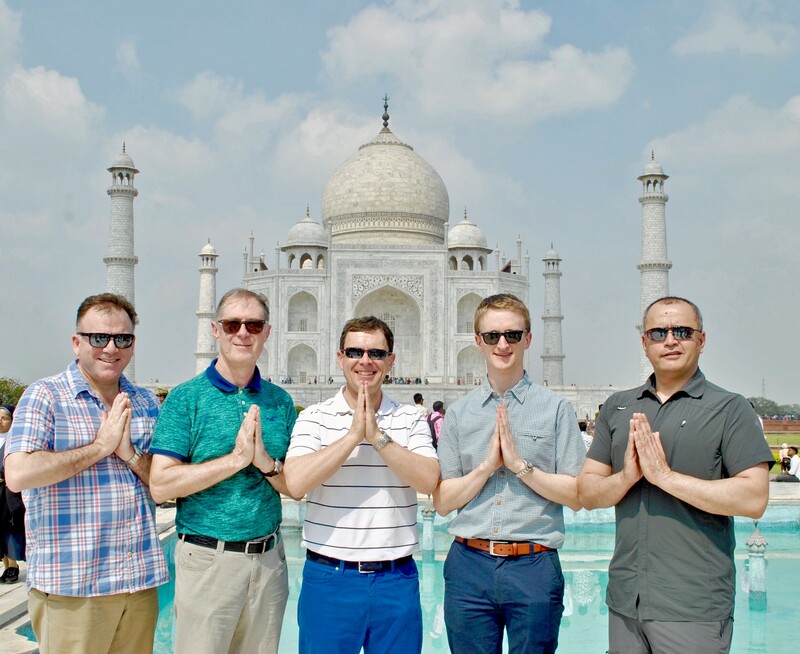 Under the guidance of current BESS (British Elbow and Shoulder Society) Mr Peter Brownson, three Surgeon members and one AHP member will travel to India next month as part of the Copeland fellowship, an initiative set up in memory of a founding member of BESS, Mr Steve Copeland. 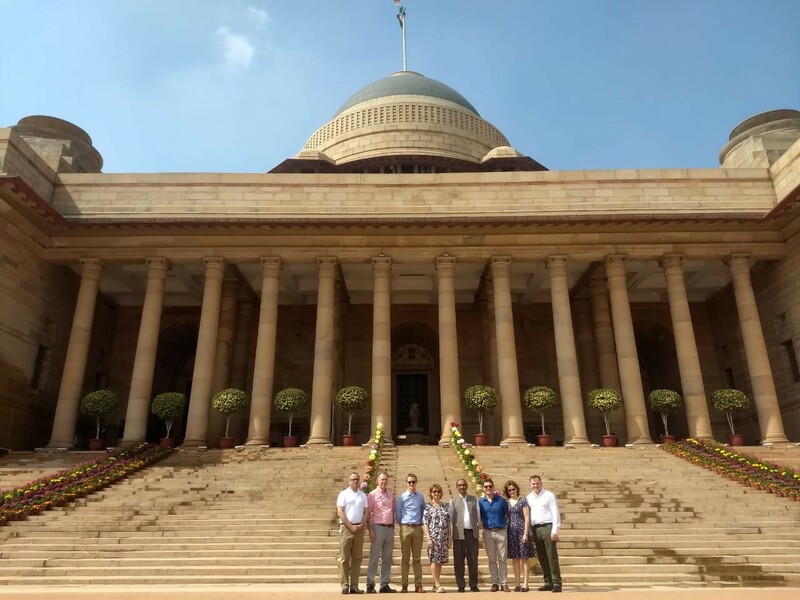 In Delhi, the fellows will take part in a combined meeting with the International Society for Knowledge for Surgeons on Arthroscopy and Arthroplasty (ISKSAA). The theme of this meeting will be sports injuries and trauma of the shoulder and elbow. In Pune, the fellows will take part in a meeting organised by the Shoulder and Elbow Society of India (SESI). The theme will be arthroplasty of the shoulder and elbow. Recently, Mr Brownson was invited as an international guest speaker at the Boston Shoulder and Sports Injury Symposium. This prestigious course has been running for approximately 20 years and has an international reputation. Mr Brownson was asked to present on the management of shoulder instability in elite athletes. In addition, he took part in expert panel discussions relating to athletes sustaining SLAP tears and rotator cuff injuries. Mr Brownson was happy to be reunited with some of his colleagues from the United States including his friend Dr John Richmond, who first visited Mr Brownson to take part in the Liverpool Advanced Shoulder Arthroscopy Course nearly 20 years ago and Dr Brian Busconi who is one of the Team Physicians for the Red Socks baseball team. Mr Peter Brownson, MD FRCS ED, owner of the Liverpool Shoulder Clinic and partner at The Bone and Joint Centre was delighted and honoured to have been elected to become a member of ASES (the American Shoulder and Elbow Surgeons) in July of this year. ASES was created to enhance the study of shoulder and elbow surgery and to foster advances in the field, serving as an educational body responsible for scientific programs and advances. Membership is by invitation only with nominees being sponsored by two active members of the organisation. Strict academic and clinical guidelines must be met as well as a demonstration of active involvement in scientific meetings. The vision of ASES is to be the world leader and educator of evidence based and cost effective shoulder and elbow care. Mr Brownson has just returned from the British Elbow & Shoulder Society Conference in Glasgow. This was the 30th anniversary of the inaugural BESS meeting and fittingly, that first meeting was also held in Glasgow. Mr Brownson is the current president of the British Elbow & Shoulder Society. The conference began on Tuesday 19th June with the second BESS Instructional course. The theme this year was Trauma of the Shoulder and Elbow and there were several national and international guest speakers, including Mr Brownson’s guest speaker, Mr Peter Millett, from the Steadman Clinic in Vail, Colorado. The instructional course attracted 200 delegates and was the precursor for the main Conference which started on the following day. The Conference was held in the Scottish Exhibition Centre and attracted approximately 800 delegates comprised mainly of surgeons and physiotherapists specialising in shoulder and elbow problems. The conference commenced on Wednesday 20th June and, at the opening ceremony Mr Brownson was joined by the Deputy Lord Provost of Glasgow. Both he the Deputy Lord Provost were led into the meeting by a piper from the Scottish National Youth Pipe Band. The Wednesday scientific sessions were followed by the BESS conference dinner, held in the Science Museum. As this was a special meeting for Society being the 30th anniversary, Mr Brownson was delighted to be joined by Professor Angus Wallace, Mr Ian Bayley, Mr Michael Watson and Mrs Jenny Copeland (wife of Mr Steven Copeland) who were the four founding members of the society. In addition they were joined by Mrs Helen Kelly (wife of Ian Kelly who was the organiser of the inaugural Glasgow BESS meeting). In recognition of the anniversary, Mr Brownson presented a silver Quaich to each of the founding members. The Thursday conference included a session on the history of the British Elbow and Shoulder Society. Mr Brownson gave a presentation with his vision for how the society might develop over the next 10 years. On the Thursday evening Mr Brownson hosted the President’s Dinner, which was held at the Royal College of Surgeons and Physicians in Glasgow. Mr Brownson was joined by past and present members of BESS council, together with the local organising committee and the Society’s guest speakers. In honour of the event, Mr Millett and his son James turned up in full Highland dress – no mean feat for 2 residents of Colorado! 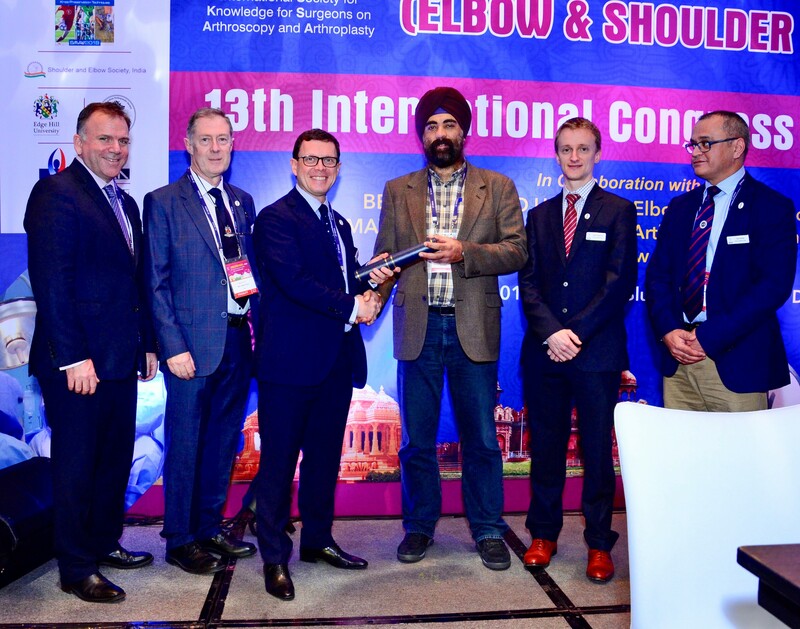 Under the guidance of current BESS (British Elbow and Shoulder Society) Mr Peter Brownson, three Surgeon members and one AHP member will travel to India in the Spring of 2019 as part of the Copeland fellowship, an initiative set up in memory of a founding member of BESS, Mr Steve Copeland. The inaugural visit took place in October 2016 to South Africa where President at the time Mr Michael Thomas was joined by Mr Chris Peach and Miss Val Jones. Successful applicants will act as ambassadors of BESS and it is expected that they will take an active part in both meetings in terms of giving presentations and participating in workshops. Some of the successful applicants may be asked to prepare a review article for publication based on their area of specialist interest. BESS will provide each successful applicant with an award of £4000 towards costs. ISKSAA and SESI have kindly agreed to cover all costs relating to meeting registration and accommodation relevant to the courses listed. Delighted to be a guest speaker at the 6th Shoulder 2 Shoulder meeting to be held at the Millbank Tower in London. The 2018 course, aimed at consultants and fellows with an interest in shoulder surgery, is based on shoulder pathology throughout the seven different stages of life. With presentations from a number of specialists from UK and International faculty, the Watanabe Club, organisers of the event, see the format as a great way to stimulate active participation from all delegates. I will be discussing a case study on ‘Teenage Clavicle Fracture’ as part of a comprehensive day of education and interaction. Mr Brownson, as the President of the British Elbow and Shoulder Society was invited to give the guest lecture at the British Orthopaedic Sports Trauma and Arthroscopy Association (BOSTAA) Meeting held at the Institute of Sports Exercise and Health ,in London on the 6th December 2017. Mr Brownson gave a 40 minute presentation on Rotator Cuff Injuries in Overhead Athletes. At the end of the lecture he was presented with a small gift by the President of BOSTAA, Mr Panos Thomas. Peter Brownson has just returned from the Arthroscopy Association of North America (AANA) meeting in Denver USA. He was part of delegation of UK Orthopaedic surgeons invited to put forward a British perspective and provide a counterpoint to the North American view. 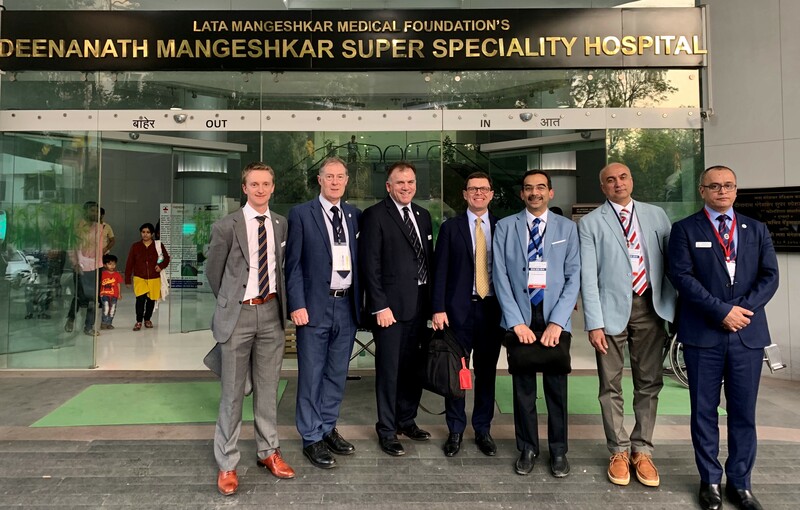 The delegation was led by British Orthopaedic Association President, Mr Ian Winson and comprised a group of key opinion leaders from the UK covering all orthopaedic subspecialities. Mr Brownson was joined by his colleagues from the Bone and Joint Centre, Mrs Jo Gibson (Specialist Physiotherapist – BESS) and Mr Chris Walker ( British Orthopaedic Foot and Ankle Society – BOFAS). The UK delegates were invited to take part in the instructional course lectures, which form part of the meeting, as well as to take part in expert panel discussions. In addition, selected individuals were invited to give a “feature” lecture relating to their own area of subspeciality expertise. The meeting proved to be highly successful. There were over 1000 attendees and the convention took place in an atmosphere where all participants felt full engaged and which, at the same time, conveyed a friendly, relaxed atmosphere that engendered excellent discussion. The meeting commenced on Thursday May 18th with the opening ceremony during which, Dr Richmond (President AANA) introduced all of the visiting International Society Presidents attending, including Mr Brownson. This was followed by a morning session of scientific papers relating to shoulder instability, after which there was a feature lecture on protecting the young athlete by Dr James Andrews, an American surgeon, who has extensive experience of managing young athletes, particularly those involved in baseball. There was a second morning session, focusing on shoulder surgery relating to the management of massive rotator cuff tears, including a discussion on superior capsular reconstruction (SCR), a relatively new technique which is currently being evaluated by Mr Brownson for the management of large or massive irreparable rotator cuff tears in individuals without significant arthritis. There was a subsequent symposium, during which Mr Matt Ravenscroft (UK) presented his experience of the In Space balloon a novel device being evaluated in the UK for similar indications as the SCR. In the afternoon there was a feature lecture by Mr Andy Williams (BASK) who is a Consultant Orthopaedic Surgeon at the Fortius Clinic and who has huge experience in the management of knee injuries, particularly in Premiership Footballers and elite athletes. The Friday programme included a scientific session focussing on the management of biceps tendon problems. It was followed, at lunchtime, by the Presidential Guest Speaker, Major Dan Rooney. Major Rooney gave a tremendous presentation highlighting his life’s work. He is a remarkable individual. He is a fighter pilot with three combat tours in Iraq. He is also a PGA Golf professional and the founder of the Folds of Honour, a charity based in the USA which provides educational funding for the families of bereaved servicemen. He has served as the motivational speaker for two US Rider Cup teams and is a Fox news contributor. He is a decorated military aviator and is currently stationed at Tyndall Airforce Base in Florida as a member of the 301 st fighter squadron. He is a two times recipient of the Top Gun award. His inspirational talk emphasised the importance of ‘volition’ and the need to believe in one’s ability to effect change. After the presentation, he kindly met some of the delegates including the visiting members from BESS. The Friday afternoon session included a symposium on shoulder rehabilitation. During this session, Jo Gibson, gave a presentation on ‘Rehabilitation Tips from the United Kingdom’, focusing on her huge experience of rehabilitation of elite athletes after shoulder trauma. On Friday evening, Dr Richmond invited the UK delegation to a private dinner. At the dinner, he thanked the UK delegation for attending and contributing to the meeting. His kind invitation, was acknowledged by Ian Winson (President BOA) who presented Dr Richmond with a signed picture from the British delegates. The Saturday session stated with a set of instructional course lectures. During this session, Mr Brownson gave a presentation on the “Management of Posterior Shoulder Instability”. Later, in the same morning, he and Jo Gibson gave the feature lecture of the day on the ‘Management of Instability in Elite Athletes’. This was a 25 minute joint presentation during which Mr Brownson and Mrs Gibson explained their philosophy for the management of shoulder instability as a whole, giving a particularly UK perspective, as well as explaining their philosophy for patient rehabilitation and assessment for return to play in elite athletes. The presentation appeared to be very well received as it particularly emphasised the close working relationship between surgeon and physiotherapist and the advantages this has for the patient. Such a close working relationship is unusual in the US due to different patterns of working but is an approach very much promoted by the British Elbow and Shoulder Society. The meeting concluded with a barbeque reception hosted by Dr Richmond, during which the British delegates were introduced to ‘beanbag throwing’.